The September 2018 update enhanced the Forecasting module and new levels of security and redundancy to the platform. Added hot-backup data center on the West Coast of the US. All file transfers have been moved to secure FTP. Easy to view and understand the status of all daily automated processes. Simplified access to all common administrative tasks. 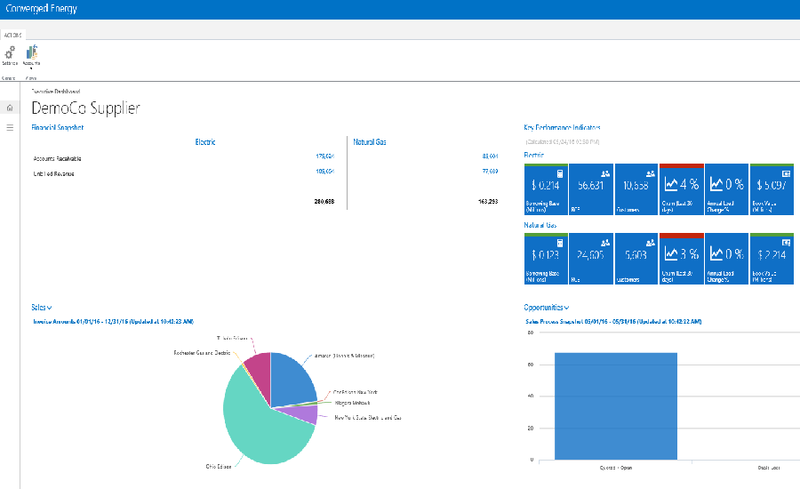 The July 2018 update enhanced the Pricing Desk and Billing modules. New API - for third-party mobile enrollment apps to directly interface with Pricing Desk and enrollments. The June 2018 updated our Pricing and Billing modules. Low Income - added support for NY PSC low income reporting. ETRM - imporoved reporting and enhanced deal capture. Complete view of all you customers and their attributes. Added monthly wholesale and retail load requirements. Versioning, historical Account Status can bew viewed and reported on for any previous day. 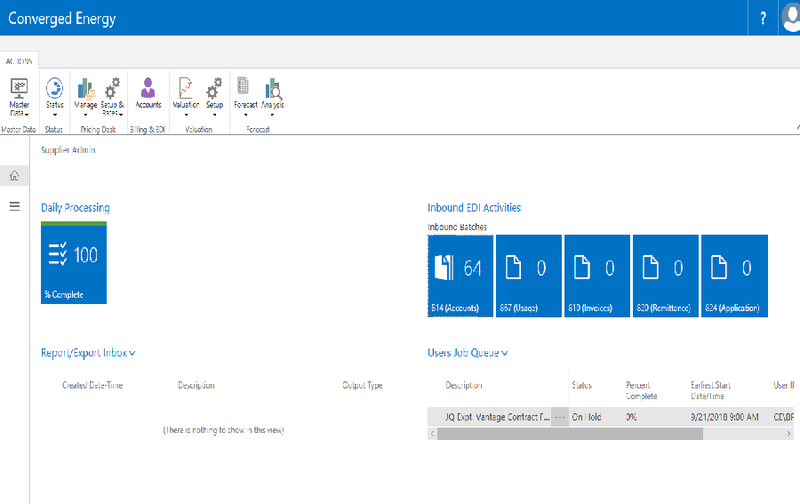 The April 2018 update added 40+ features plus the new Princing Desk and Portfolio Valuation app. 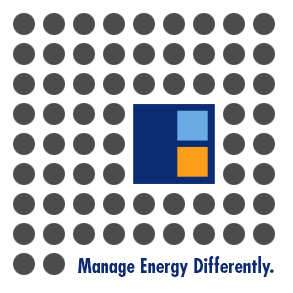 The Portfolio Valuation app automatically values your electric and natural gas portfolio daily. Providing timely metrics into the value of your book or quantifying the details of your borrow base. Billing: Enhanced the Portfolio Billing features. The 2018 update of the platform is our annual major update of the platform. Daily Creation of Account Status List. Automated download of utility Account Sync lists, which checks accounts again current account list. The December 2017 update enhanced the Pricing Desk and base application. Enhanced the EDI interface to our Pricing Desk has been enhanced and completely automated. Added support to automatically pull data from leading third party billing providers for our Valuation module. Added Global Rate Adjustments for Pricing Desk Super Users. Added new Finance role to aggregate high-level financial statistics and allow for detailed introspection of each statistic. The October 2017 update of the platform adds multiple data entry wizards to the Pricing Desk module. Price From Matrix Wizard- Calculate a price for a prospect based on a pre-calculated Matrix price. Refresh a Price Wizard - Refresh a price for a portfolio that has been previously priced. Information Request Wizard - Retrieve account information and historical usage for informational purposes only. No price will be generated. We have added a new Enrollments Web Service, allowing customers to utilize web pages and mobile apps to directly send enrollment requests into the platform. New Pricing Desk Lite role has been created for data-entry personnel. We have enhanced our Pricing Desk Close Deal functionality to support 3rd party billing systems. Added Hedge Deal Capture Wizard page, that walks users through data entry of the deal, speeding up the process while reducing errors. Retroactive hedge deals can now be entered into the ETRM module. The August 2017 updated our Pricing, Billing, Valuation and ETRM modules. Credit Check - added new work flow for credit checking and approval. 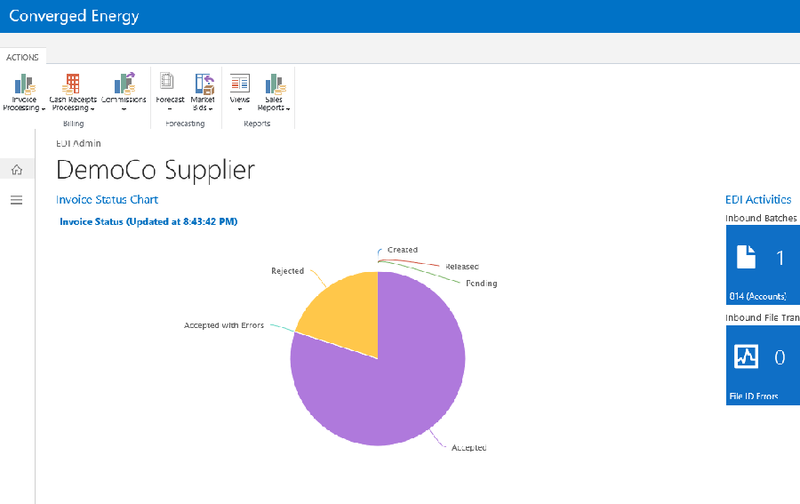 The July 2016 update enhanced the Pricing Desk and Billing modules. Added additional checks to ensure the timeliness of Futures Data feeds. 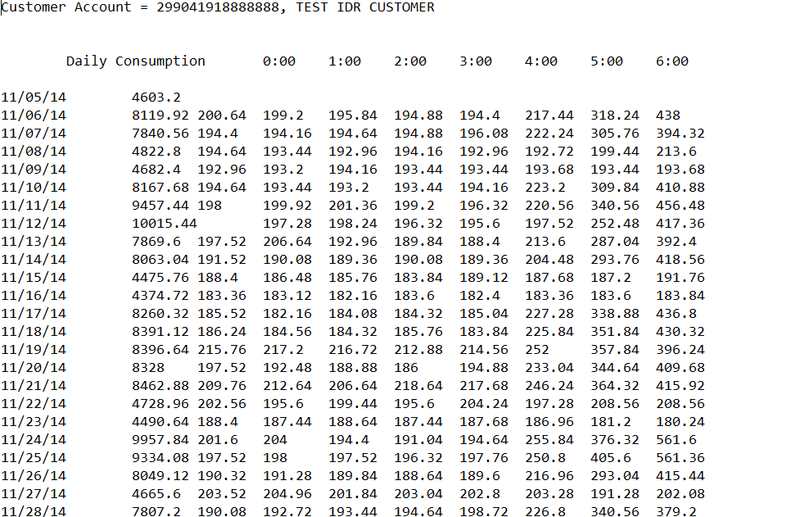 Added support for EDI processing for Massachusetts Utilities. Redesigned Dual and Portfolio billing process for ease of use. The Web interface has been refreshed allowing hot-keys to be utilized in place of mouse clicks in many areas. The built-in scheduler has been updated improving the number of concurrent jobs that can be processed, greatly increasing the speed of the jobs. By clicking on any field within the system, help text will display. The May 2017 update enhanced Pricing Desk modules. Added numerous adjustments to customize your Matrix or Rack pricing. Enhanced EDI capability allowing quick Pricing in New York, New England, PJM and ERCOT. The April 2017 update added 40+ features plus the new Portfolio Valuation app. The Internet of Things for Energy, Meter Data Management or Data Collection - no matter what you call it, we collect data from your energy related assets in the field. The 2017 update of the platform is our annual major update of the platform. New ETRM - Energy Trading and Risk Management app has been added to the platform. The app has been optimized for use by electric and natural gas Retail Energy Providers. 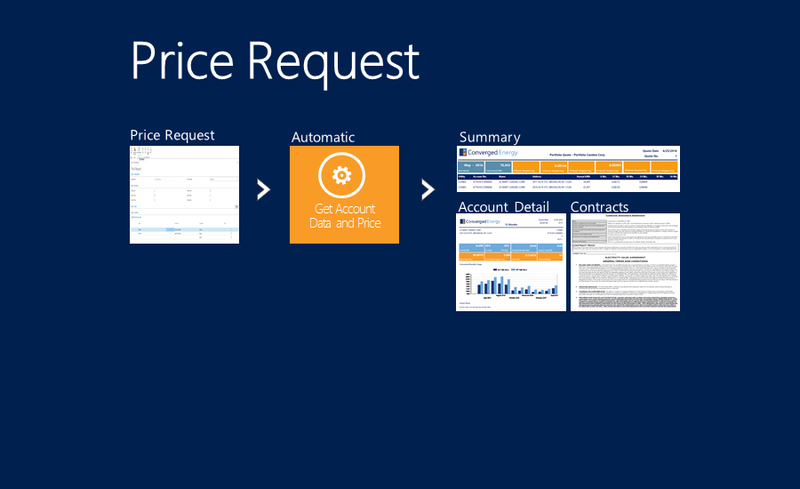 The December 2016 update enhanced the Pricing Desk and base application. The EDI interface to our Pricing Desk has been enhanced and completely automated. Administrative level users can now change roles on the fly. Support for New York - Renewable Energy Credits and Zero-emission Credits in Pricing Desk and Billing apps. Automatic download and import of NYISO Capacity auction results. Billing - Added new Accounts Analysis View "Expiring Accounts Next 90 Days" option. Updated Work-flow Processing in Billing and Pricing modules. 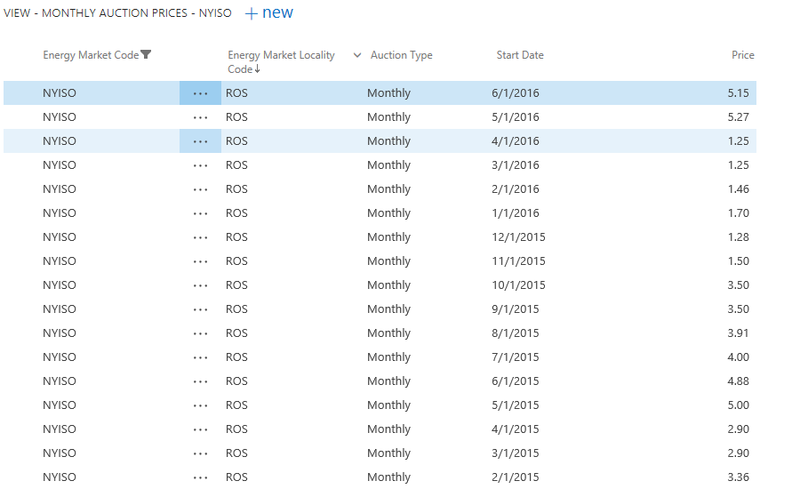 Pricing Desk - Added support for the New York Clean Energy Standard (REC and ZEC). 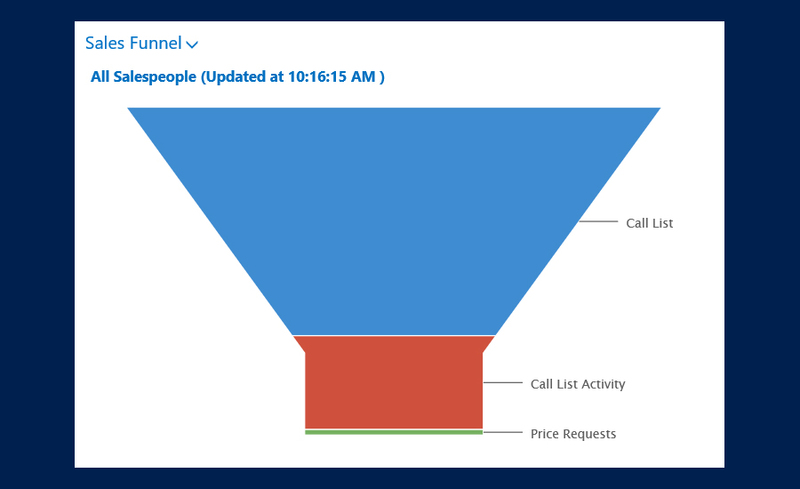 Sales Managers can now import call lists from CSV. The EDI interface to the Pricing Desk module has been enhanced. 814 Request for Historical Usage transactions are sent and 867 Historical transactions are processed automatically and seamlessly. The August 2016 update enhanced the interval data processing in the Pricing Desk and Billing modules. Pricing Desk - the system automatically downloads and imports any interval data required to price an opportunity. Billing - when interval data is required to bill a customer, the system will download and import the interval data needed. No User intervention or manual uploading is required. New Billing Dashboard, showing all open, completed and pending billing items. Rate Ready, Bill Ready, Dual and Portfolio billing support. Automated commission calculations and reporting. The June 2016 updated added our new Executive Dashboard module. Up-to-date (AR) Accounts Receivable, (UR) Un-billed Revenue and borrowing base. View Sales by Period, Market, Utility, Contract Type, Customer Type and more. View (RCE) Residential Customer Equivalents, Churn rates and more. Quick view of your estimated book value. Better understand your business's direction by viewing metric trends over time. View your sales pipeline, close ratios and more. The update enhances the Sales/Broker portal of the platform. Salespeople and Brokers can submit single and portfolio price requests from the field. Complete pricing and contracts are distributed to the salesperson / broker in minutes. Integrated with Pricing Desk and Sales Management apps. For utilities that provide a Account Sync File on their portal, the platform will automatically download the Sync files and import them. Import call lists for outbound call management. 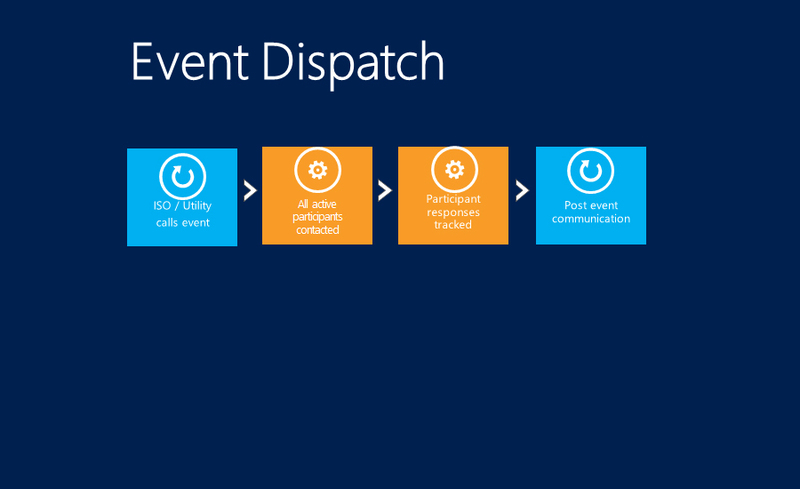 Track outbound call activity and to dos. Automatically generate price quotes with integration with our Pricing Desk app. The Sales Management app has been updated. Pipeline Management - From List to Prospect to Customer and everything in between. Pricing Desk Integration - Automatically generate price quotes and contracts for prospects. Sales Analytics - Visualize sales, win rate, sales cycle time-line and more. The 2016 version of the platform is a major update. Completely updating the user interface. 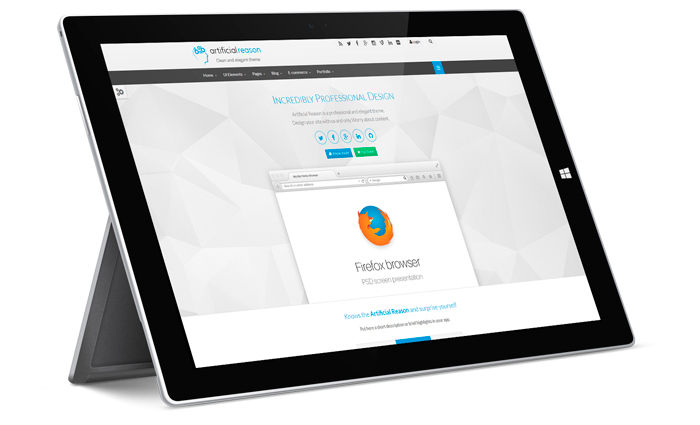 The platform interface has been completely refreshed, adding support for Browsers, Phones and Tablets. The platform dynamically and seamlessly works on multiple devices, screen sizes and orientations, all from the same code base. Work from the office on your Desktop. Work from home on your tablet, Work from the road on your phone. You choose the device and the Converged Energy Platform supports it. Deliver Value-Added services to your customers with our Demand Response app. Calculate site performance as soon as meter data is available. Easily calculate and pay your DR participants. Added support for ERCOT TDSPs in our Pricing Desk app. Enhanced support for NYISO, PJM and MISO with our Pricing Desk App. Addition of Sales and Broker portal for entry of pricing requests. 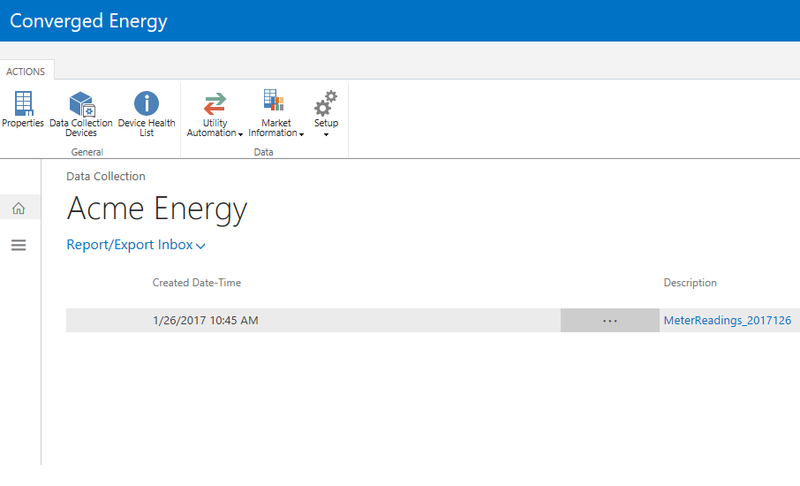 Converged Energy released Converged Energy Platform 2015.4. The update includes enhancements to the Forecasting App. Forecasts can now be run via a simple wizard. The platform will automatically select the best methodology to utilize to for each Account and Meter and generate a forward forecast. Detailed forecasts are created for each account and meter by hour, allowing the information to be utilized for scheduled and risk management. This update add the ability to automatically pull Utility Account information and historical usage information (HUD) automatically, greatly streamlining the pricing desk process. Pricing has never been simpler. Just enter your Utility, Account No. and products and let the system automatically gather all information and price the deal! Daily or weekly price matrices can now be automatically created, audited and distributed to your salespeople and brokers. The new version of the platform includes over 100+ updates, features and innovations - including a completely revamped Pricing Desk App. Ground up costing and pricing tool. Automated distribution of pricing to salespeople and brokers. The update includes enhancements to the Scorecard App. The Scorecard App measures, grades, benchmarks and monitors how you buy energy, how you use energy and when you use energy. 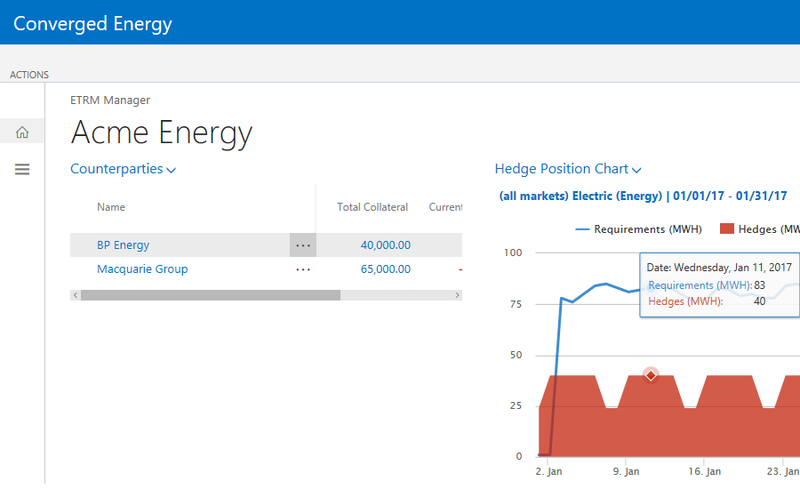 Converged Energy released Converged Energy Platform 2014.7. The update includes enhancements to the Roadmap and Cloud Automation Apps of the platform. The Roadmap App provides Real-time actionable energy optimizations that combine building information, energy market, weather, utility tariff and other real-time information to align business goals with energy spend goals. The Roadmap app was updated to include 15 new optimizations that that will provide new and improved ways for customers to save. The Cloud Automation App was updated to support Obvius’s AcquiSuite and AcquiLite data acquisition servers allowing 24x7x365 data collection and control from facilities with these products installed. Supplier Dual Bills can now be consolidated by portfolio. This enables suppliers to easily generate consolidated portfolio bills for the multi-site customers. Cloud Automation has added support and interoperability with Echelons iLon SmartServer 2.0. The support includes real-time data collection from the iLon SmartServer and remote configuration. Retail Energy has enhanced its account management and portfolio-level reporting. 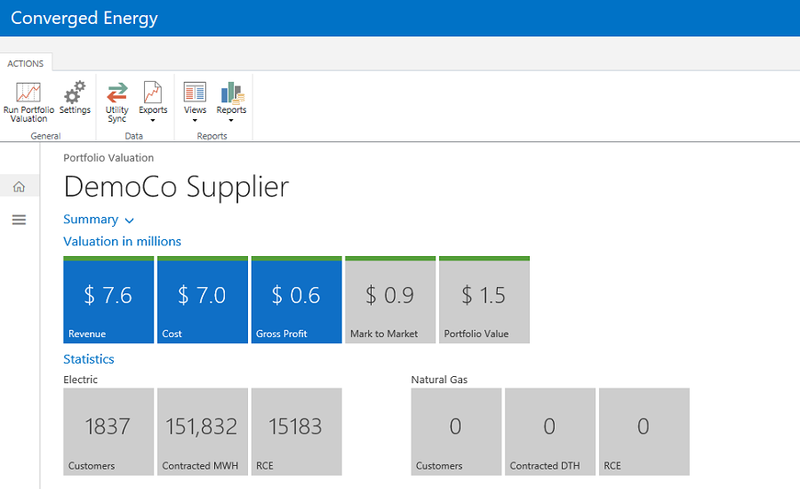 The update provides energy retailers with improved vision into their customer's performance, portfolio-based reporting and consolidated billing reports by customer portfolio. Additionally, the Rate Ready functionality was improved, providing simpler maintenance of rate-ready rates and quick submission to utilities. Includes over 25+ updates - including our new Cloud Automation App. Cloud Automation enables Converged Energy to collect building energy, sensor and building automation system data 24x7x365. High throughput, redundant and scalable messaging queue. The update includes over 75+ updates, features and innovations - including the an enhanced Web Portal. We have enhanced our Web Portal feature to include a new Customer Service and Forecasting Apps. The new version of the platform includes over 50+ updates, features and innovations - including the addition an Automated Job Scheduler. The update includes over 50+ updates and features - including the addition of an enhanced Retail Sales and CRM modules. The update includes over 100+ updates, features and innovations - including the addition of our Financial Mgmt. module. We strive to update our Platform on a consistent and regular basis. At least every month, we update the platform with new features and tools. © 2017 Converged Energy, inc. All rights reserved.